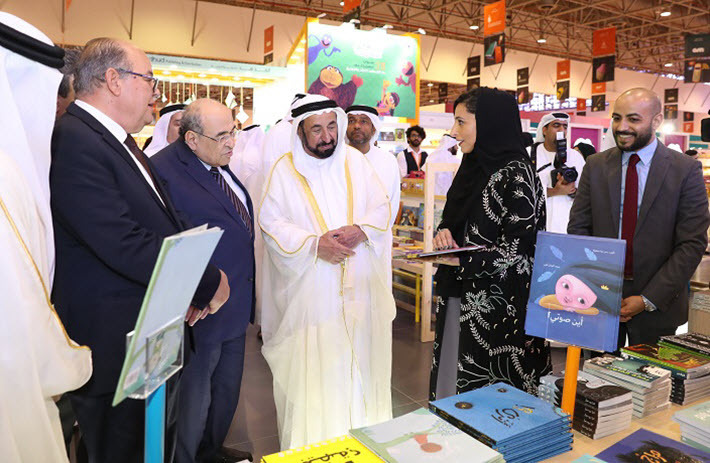 As the 11-day Sharjah International Book Fair is formally opened to the public, its chief patron warns of the importance of the ‘light’ of literature. The concert lighting and dramatic pyrotechnics that formally opened the 36th annual presentation of Sharjah International Book Fair‘s (SIBF) 11-day run didn’t prevent the emirate’s ruler from carefully reminding the world publishing community of contemporary threats that might be mitigated by a more robust assertion of literature’s humanizing potential. 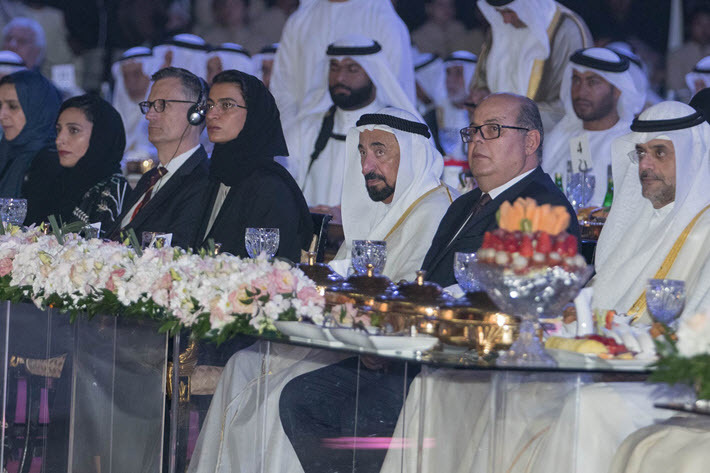 In measured, urgent tones, the Sheikh Sultan bin Mohammed Al Qasimi spoke of “hidden hands” that work to turn “our sons’ minds” to a dreadful “darkness,” in the interpretation of simultaneous translators at Wednesday’s (November 1) opening ceremony at Sharjah’s big Expo Center. Such politically sensitive comments weren’t made lightly, and Al Qasimi spoke without a script. 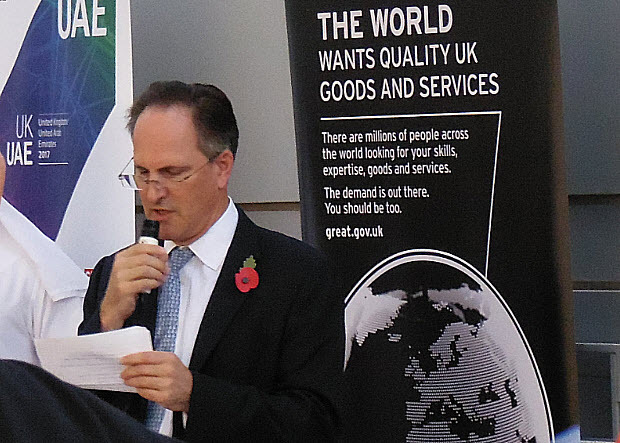 His assertion that the power of a reading culture can help curb extremism and violence was delivered not only to hundreds of guests from the Arab world, but also to publishers and rights specialists from many other parts of the world. They were gathered for the conclusion of the book fair’s three-day professional program. “Shadowy hands have been promoting malevolent ideas that darken understanding and brain-wash individuals, divesting minds of science, intellect, knowledge, culture and light, preying on our young sons and daughters. Al Qasimi then awarded Sharjah’s Cultural Personality of the Year honor to Muhammad Saber Arab, Egypt’s former minister of culture, one of several countries’ dignataries on-hand for the day’s events. Following the hour-long opening ceremony, Al Qasimi then visited many of the stands and exhibitions of the fair personally, an annual walkabout tradition that reflects the royal family’s dedication to promoting the books culture and industry of the region. Al Qasimi and his security retinue swept briskly through the halls of the Expo Center, surrounded by wide-eyed schoolchildren, teachers, and parents who were there for the show’s first day. 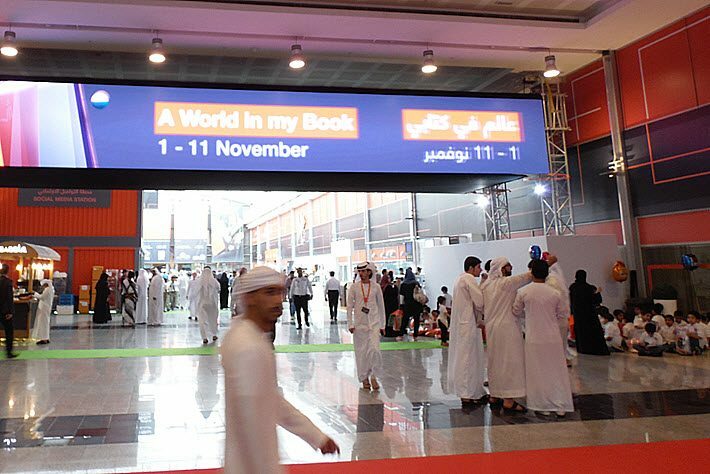 Sharjah International Book Fair is reportedly the world industry’s fourth largest such event. This year, it features 1,650 publishing houses from 60 countries, and is said to display more than 1.5 million books in many languages at the fair, which covers more than 14,600 square meters. Al Ameri told the audience that more than 620 books with 14 million words have been translated from and into Arabic as part of SIBF’s translation grant program, launched in 2011. Sharjah International Book Fair continues its 2017 run through November 11.